Rejoice it’s still sunny and finally I have M&S Peanut Butter Ice Cream in my possession! When I spied it looking lonely in the freezer cabinet I made the decision to risk it melting by the time I got home. You see M&S is a wee bit inconvenient, we have an okay size one in the town centre however I usually pop in there whilst at work ergo no place to store my ice cream other than my tum. The other is about 20 miles away again a slight problem for frozen items. As you can see the risk paid off because I got it home in time without it being a puddle in my car. This addition is part of the their new lower price range, costing a reasonable £3.50 and seems to have replaced the Peanut Butter Heaven tub. No surprises here you have to leave it a good 5 minutes before even attempting to scoop it out. As I dug the first scoop the toffee sauce was practically squidging out the sides however removing said scoop and it had gone, most bizarre! The chocolate coated peanuts were few and far between, they had a nice chocolatey flavour that was of good quality and gave a little bitterness to the creamy ice cream. Although it also gave a lovely peanutty crunch I could not detect any salt. Dare I say the ice cream itself was pretty akin to Ben & Jerry’s. 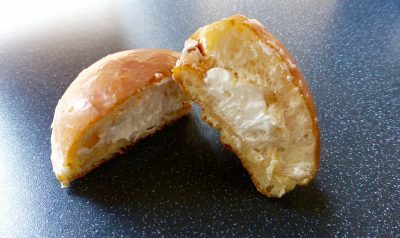 It was thick, creamy, indulgent and oh so good. 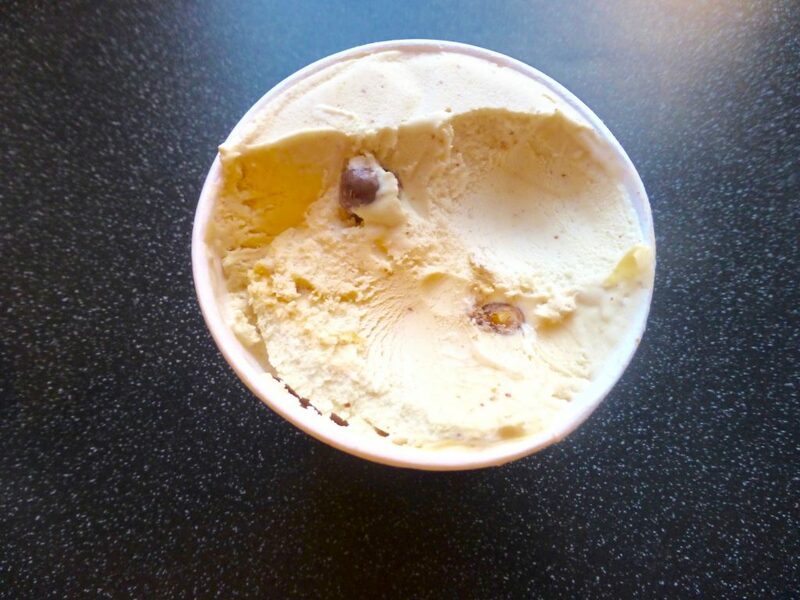 The peanut butter flavour was there, subtle to begin with but far more intense as you get further down the tub. The peanut butter flavouring was smooth with a nice nutty natural flavouring that just screamed eat me. This is one darn good peanut butter ice cream. It does however have some pitfalls and areas of improvements. Number 1 why the toffee sauce? It appears non existent, brings nothing to the table and why oh why didn’t you use peanut butter sauce to give it an extra kick of flavour? Number 2: more choc peanuts please. Aside from these I cannot be mad at M&S because frankly the ice cream is peanut butterlicious. 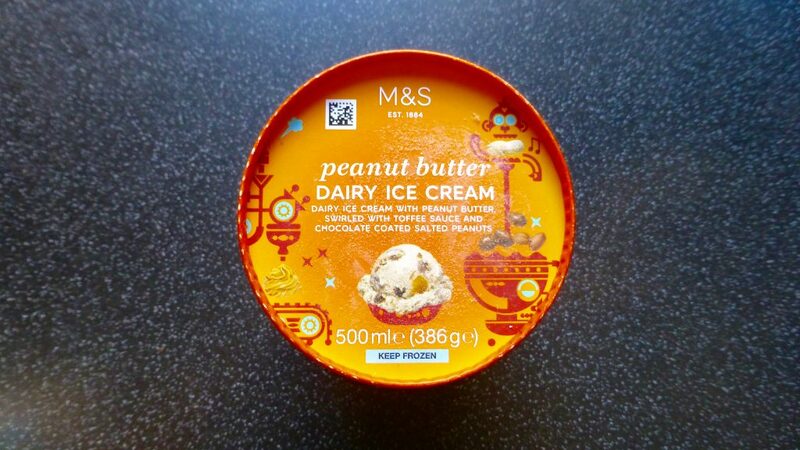 If you’re a PB lover this M&S Peanut Butter ice cream is certainly worth a try. I agree I loved this ice cream too! The peanut butter base is heaven. I’m sure in the old peanut butter heaven ice cream it was swirls of peanut butter sauce in a plain base? Would have been good if they could have doubled the peanut butter impact and used both peanut butter sauce and peanut butter ice cream! I think I was slightly more fortunate with the amount of chocolate peanut I got though :(.